Bees or Wasps a problem? Can’t find Bee Catchers or a BeeKeeper? Special! $250 for areas of bee infestation within normal ladder access in metro Sydney. This also includes a general pest service for cockroaches, ants and spiders. Bees are very beneficial to mankind, but unfortunately when they invade homes, they will need exterminating. 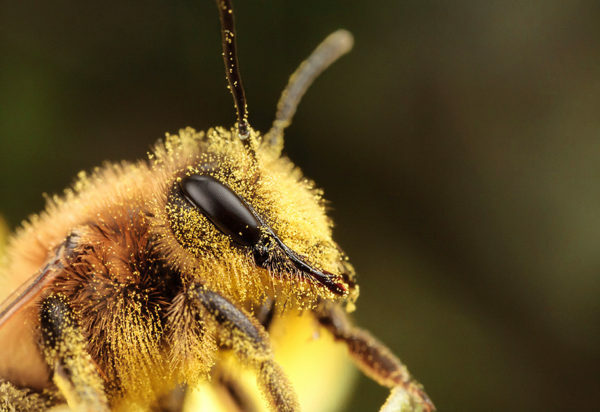 Getting rid of bees may wind up being a tough job, especially if you’re allergic to them. Disturbing a large bee swarm, or even only one bee, may result in extremely painful stings. Its best if you stay away from their flight paths when bees decide to nest within your house or business. The first step is to try and locate exactly where they are resting or entering from protected area, like behind a window in your home, and then phone for a specialist bee removal firm. You may get same day service if call 0417 251 911 or send an email to bruce@a1pestcontrol.com.au. Don’t ever try and spray yourself, throw stones, ignite with fire or disturb the colony. The best time of day to remove bees is before they start to build a new colony. This is the time to contact a beekeeper if the bees are away from the house. You can find a better list in the Yellow Pages under the category of “Beekeepers & Apiarists”. They may be sometimes hard to contact, if there are multiple swarms in your locality. Older people or small children can be at risk in the meantime. If you leave it for a while and the bees haven’t left by now, its probably best to phone a qualified bee removal firm. A1 Pest Control has the expertise, proper equipment, and PPE (protective gear) such as full overalls, gloves, hoods etc. 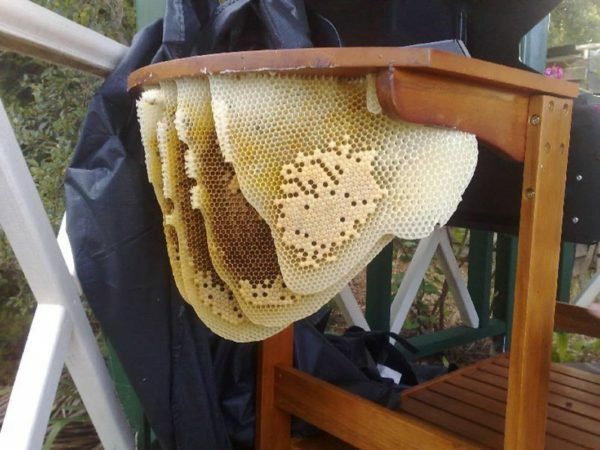 Some people attempt bee removal on their own, without the help of professionals. This sort of activity is NOT advised by our company as the bees may often attack untrained persons without protection. Also it is known that untrained people have used all sorts of dangerous sprays and concoctions to kill the bees. Some even try smoking out the bees which is unsafe and inefficient. Unless it is only a small hive and you feel confident, leave it to a professional firm. Firstly, if you want to get rid of wasps, you should try to figure out what kind of wasps they are. For the nests that are usually located underground or in bushes, you will best using a wasp killer in a can that’s not a “shooting out” projectile type of spray. You won’t need very much for wasps that breed underground. For the nests that are above shoulder height, you will need to buy a can of wasp killer (from a hardware shop such as Bunnings) that is registered as a bee or wasp spray that will produce a jet of poison. NOTE: Always read and follow the directions on the label! This will make sure that you get the wasp spray roughly 4 or 5 metres high, allowing yourself plenty of time and distance to back off and run away. Repeat this strategy until you’re sure that the colony has been eliminated. Then it should be safe to knock down nests, or fill it in if it’s an underground nest. Consider proofing the area affected. This should be the end of your bee or wasp problem until the next migration cycle. Bees are useful to us by providing honey and wax but they are also dangerous if not controlled. 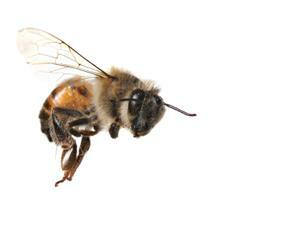 Bee control is necessary especially in residential areas where they can become a hazard. They can come and set up their hive in your yard and put you and your loved ones at risk of being stung. They also release some toxins when they sting that is causes swelling and even death in people who are allergic to the venom. Therefore, it is essential that you request for immediate removal of the bees. Bees normally attack in large numbers when they feel threatened. 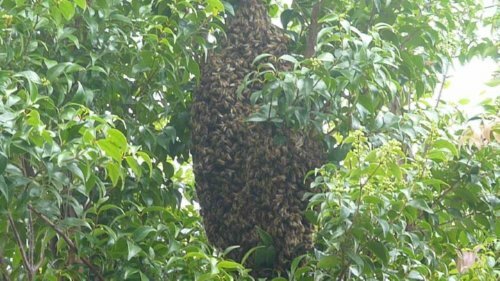 If you go near their hive or attempt to remove it, then you could be putting yourself in great danger. In addition, using pesticides without the necessary expertise can lead to poisoning. It is not advisable that you try to do the removal by yourself. Not only do you put yourself at risk by doing so but also you have no certainty of getting rid of all the bees. However, by getting in the experts, you can have permanent bee removal from your premises. There are a few steps you can follow when you notice there are bees in your home. The first step is you taking note of the fact that there is a bee infestation in your home. Sadly, most people only realize that there is a bee problem in their home after they have been stung by a bee. However, if you are a little more vigilant, you might notice them before they cause any harm. For example, if you see swarms of bees around your home, you can suspect a problem. You can also watch out for holes in wooden surfaces, window frames or even the fence post. Sometimes they also cause stains on such surfaces that are visible. Keeping an eye out for these warning signs is essential. When you suspect or see a bee hive in your home, the first thing you need to do is call a reputable pest control firm. These should be experts who have a lot of experience in handling such situations. If possible, you should get a company that is based in Sydney. This allows you to get prompt action since they will not have to travel far to come to your home. When choosing a company to handle the bee control, you need to learn a few things about how they work. For example, you can ask the methods they use to remove the pests. These methods need to be safe and environmentally friendly. This is because you and your loved ones will still be leaving in the same home for a long time to come. So you have to be sure that they will not use any chemicals that could turn to be a hazard to you and your family members. Another thing you need to inquire about is how effective the bee removal is. An effective removal often means that the bees will completely leave your yard. In addition, there will be no risk of a repeat infestation after proofing areas in your home that bees can enter. You will given that advice to do it yourself, or else inquire about a quote from the technician (usually after hours when sunlight is fading). There are also some service providers who offer you removal of multiple pests at the same time. This is just added value and ensures you home is a safe haven for you and your family. Once you have chosen the company you would like to handle the bee removal, you need to invite them over to inspect your home. This is necessary for them to ascertain whether you do have a bee problem or maybe there is also another stinging insect infestation such as wasps. During the inspection, the experts will uncover all the bee hives that are in your yard and home. Sometimes, you may see bees in your home but have no idea where they are coming from. They will need to settle first before calling in the professionals, as we can’t treat them until they have settled in a compact mass. Sometimes after hovering around the colony will decide to fly off to another more appropriate site. In fact, there are some bees that set up their hives by crawling or flying into wooden structures. The bees can set up their hives in wooden structures on the deck or wooden furniture. This may causes a lot of structural damage over an extended period of time, especially since it might take a while before you discover them. However, during a thorough inspection not only will the hive be uncovered but also which intervention method to use. After the professionals have done a survey by phone, you can request for a quote for the bee removal. This is necessary so that you know how much it will cost you. At the same time, you can also schedule for a date for the pest control guys to come in. The sooner the better, since waiting for long can make the infestation worse. It also increases the amount of time you and your loved ones are at risk. During the day of the removal, the bee control professionals will advise you on what is expected of you. In most cases, it will be best if you, your family and any pets stay inside or leave the home. This will give the workers more flexibility to do their work without pets and children getting in the way. Even though the insecticides used during removal are environmentally safe, children or pets may wander into the treatment zone. Therefore, keeping them away from the bee catchers on that day is wise. Once this has been done, you will be told after how long it will be safe for you to go back to the home. Usually, the methods used to get rid of the bees are quite effective. This means it will not take a lot of time before you and your family can move back in. Finally, you can always ask for monitoring to be done on your property. This is just an extra precaution to ensure that there is no bee infestation. You can have yearly monitoring at the same time of general pest eradication to ensure that if there is a bee infestation it is discovered in time. During the yearly inspections, the bee control experts will look out for any signs of hives and remove them before it is too late.